The Supreme Court today upheld the "papers please" part of Arizona's illegal immigrant law in a 5-3 decision that allows police officers to ask about immigration status during stops. 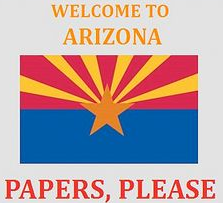 The "papers please" part of the law, which never went into effect because of court challenges, can be immediately enforced in Arizona. Other parts of the law, including a provision that made it a state crime for illegal immigrants to seek work, will remain blocked, as the justices affirmed the federal government's supremacy over immigration policy. In the opinion, Justice Kennedy wrote that the federal government's "power to determine immigration policy is well settled." But he also sympathized with Arizona's burden in dealing with illegal immigrants. 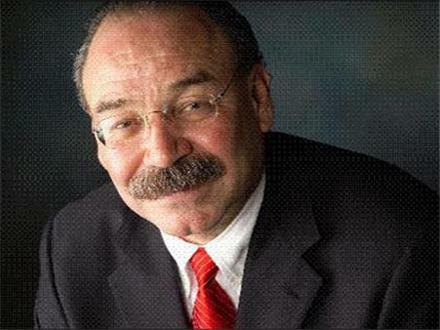 "Arizona bears many of the consequences of unlawful im­migration," he wrote. "Hundreds of thousands of deportable aliens are apprehended in Arizona each year." However, the justices found that Arizona cannot mete out their own state punishments for federal immigration crimes. Police immigration checks are allowed, however, only because state police would simply flag federal authorities, when the identify illegal immigrants. A week after signing an executive order that bars the deportation of young illegal immigrants who came to the U.S. before they were 16 and have graduated from high school, President Obama today made a direct appeal to the National Association of Latino Elected and Appointed Officials conference in Orlando, Florida. "Your speaker from yesterday has a different view. In his speech, he said that when he makes a promise to you, he’ll keep it. Well, he has promised to veto the DREAM Act, and we should take him at his word. I'm just saying." 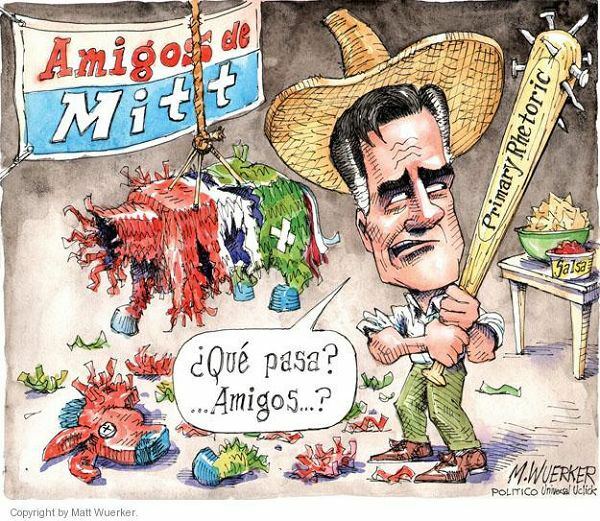 Asked by pollsters, Latino voters overwhelmingly support Pres. Obama. So much so, in fact, that if Republicans can't pull some of that support back to their own party, Mitt Romney's chances of winning in November are close to zero. Republicans' callous and deeply unpopular rhetoric against Latinos has created a serious rift between Latino Americans and the GOP. This has the potential to be a serious problem for Romney and other Republicans on the Texas ballot this November given the staggering statistic that Hispanics now account for 38 percent of the Texas population -- and nearly 4 million Texas Latinos can vote. This is probably why Texas Republicans are desperate to have their voter photo I.D. law in effect for the November 2012 Presidential Election. Up to 40 percent of Latino American citizens already registered to vote in some Texas counties do not have one of the limited selection of government issued photo I.D. 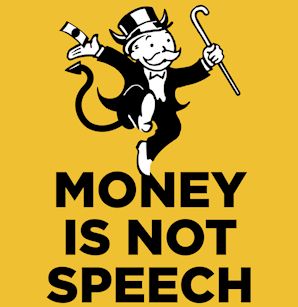 's needed to vote under this law. As I personally heard so many Republican voters comment when they checked-in to vote early for the Texas Primary last month, "we need that voter photo I.D. law enforced to keep the wrong people from voting." Still, Texas Latinos historically have been apathetic about voting. The percentage of Latinos who vote has actually dropped over the past eight years. In 2004, roughly 42 percent of Latinos went to the polls, but that number dropped to 38 percent in 2008, falling to 22 percent in the 2010 election. The newly elected Texas Democratic Party Chairman, Gilberto Hinojosa, says that the flaw in the party’s strategy over the last several years has been its focus on so-called independent voters, when Democrats should be courting the state’s sleeping Latino demographic giant. Texas Democrats could learn, Hinojosa says, from California, Nevada and Colorado Democrats' successes in turning out Latino voters in the 2010 election. California has a similar Latino voting population to Texas, but it consistently turns out higher numbers at the polls. Census Bureau figures show that in California, nearly 60 percent of eligible Latinos turn out to vote. The national average is about 50 percent. The Texas Democratic Party has already started Hispanic outreach programs, like the Promesa Project, that uses a combination of online and grassroots techniques to recruit young Latinos as the party’s messengers to their families, and social networks to get out the Latino vote this November. Will the Texas Democratic Party's new Latino outreach emphasis pushed by Hinojosa, combined with Latino voters' overwhelming support of Pres. Obama, on top of Latino antipathy for the GOP boost Latino voter turnout back to 42 percent, or more, of that demographic group? We will find out on Election Day, November 6. 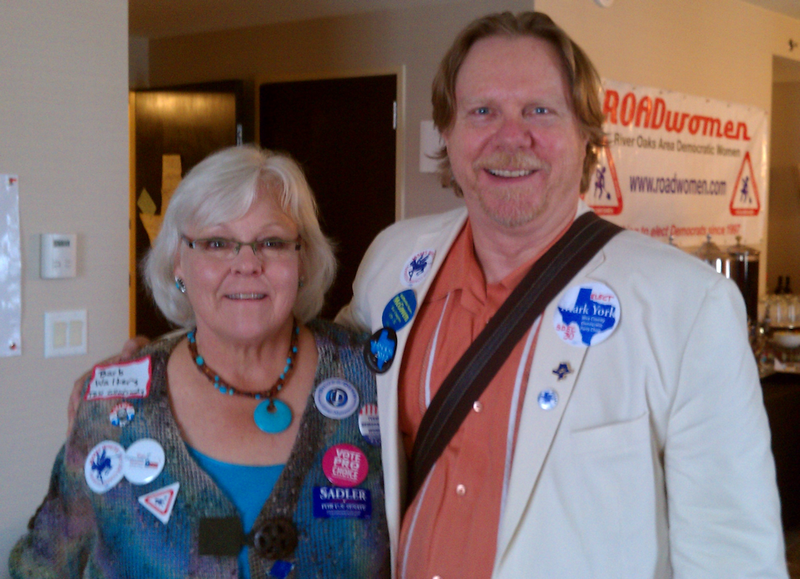 Last week, at the 2012 Democratic State Convention in Houston, I attended the Social Media Caucus. This well attended panel discussion was chaired by Democratic activist and citizen editorialist, Rachel Farris (@meanrachel) who writes Mean Rachel, a popular progressive blog that covers perspective and satire on Texas and national politics. Rachel kicked off the caucus by interviewing Texas State Senator Kirk Watson (@kirkpwatson) who explained how as a legislator and candidate he effectively uses Twitter and other social media to open and maintain discussions with his constituents. Sen. Watson writes his own blog/e-newsletter the Watson Wire, and has a large following on both his political and personal Facebook pages. His website – www.kirkwatson.com – is plugged into his Facebook and Twitter pages and he recently started experimenting with a comment function where, if people log in, they can leave their thoughts and questions, to which Senator Watson can respond. 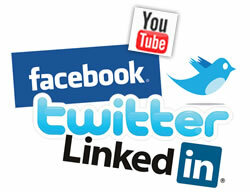 Senator Watson understands that social media can be used to inform his constituents about the issues. But Sen. Watson is also learning that social media is even more powerful because it can be used as a two-way communication channel to have regular conversations with large numbers of voters at one time. Using Twitter, or other social media platforms, politicians like Senator Watson can have regular conversations with voters that are as effective as phone and door canvassing. Unfortunately, candidates themselves do not have the time to call or visit many voters at home – one person at a time. And phone and door canvassing contact with individual voters is usually just a one-time conversation per election cycle. Recruiting enough volunteer or paid campaign workers to engage enough voters one by one to swing an election is also difficult – especially for first time novice candidates. Phone and door canvassing can only be done only one voter at a time, but using social media, politicians can converse with many people at a time, as Senator Watson discusses in the video. Just as a candidate personally knocking on doors and making phone calls to talk to voters wins more votes than interns, volunteers or paid canvassers might win talking to people at those same homes, so a candidate personally engaging people in social media conversation will win more votes than novice volunteers tweeting. Additionally, the increasing prevalence of "cell phone- only" households is making traditional landline-based political canvassing activities obsolete. When it comes to building relationships with voters, social media services like YouTube, iTunes Podcasts, Blogs, Facebook, and Twitter are communication channels that can be as effective as spending millions of dollars on traditional TV, Radio and Print media market buys. 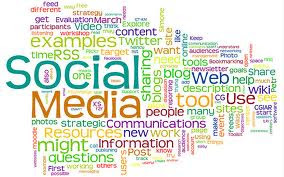 It is just as important to prepare a carefully thought out message communication plan for social media as it is for a multimillion dollar traditional TV, Radio and Print media market buy. Tweeting is not just for candidates! Party leaders can just as effectively use Twitter, and other social media channels, to regularly engage in conversations with the base of Texas Democrats. Over time these conversations with grassroots Democrats can expand, motivate and empower Democrats to both support the party and vote on election day. Next on the Social Media Caucus agenda after Senator Watson, Rachel moderated a social media panel discussion among professional and citizen journalists. The panel (picture above from left) included Rachel Farris, Scott Braddock, (@scottbraddock) a well-known Texas radio journalist and commentator who also writes his Voice of Texas blog, Charles Kuffner (@kuff) who writes his Off the Kuff blog, Michael Li, (@mcpli) a Dallas lawyer who specializes in election law and who writes his Texas Redistricting blog, and Peter Salinas, Vice President of the Hidalgo County Young Democrats organization that uses Social Media for community outreach. Last weekend 2012 Democratic State Convention delegates passed one of the most progressive party platforms ever contemplated by Texas Democrats. Delegates also overwhelmingly elected Judge Gilberto Hinojosa Texas Democratic Party Chair for the next two years. "... Perhaps the idea that the TDP's voter base, outside of Austin, is pervasively very conservative - an idea still active espoused by long time Democratic political strategists - is no longer correct. Perhaps the idea that the party and it's candidates must continue to subscribe to conservative policy strategies, shunning all progressive/liberal policy positions, is a strategy that no longer works - even in Texas. It is, perhaps, time for party leaders to seriously consider whether the party finds itself struggling to attract voters, raise money and attract new candidates, not because it's not conservative enough, but because the Democratic Party offers Texas voters no real and contrasting choice to the extreme conservative Republican brand of politics. 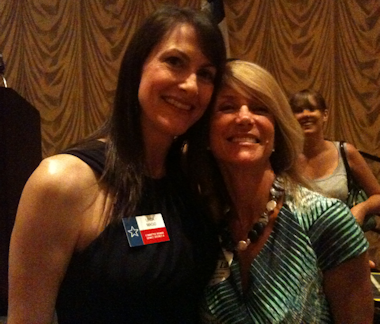 ..."
Texas State Senator Wendy Davis attended the Texas Democratic Party Kick-Off Reception last Thursday night to celebrate the beginning of the State Democratic Convention for 2012. Senator Davis had only earlier been deposed for the Texas Voter Photo I.D. case currently before the federal Washington DC Circuit Court. When we spoke with Senator Davis at the reception she shared that lawyers for the Photo I.D. law tried to imply that because citizens of Texas want the law that it should be allowed. It will come as no surprise that Davis refused to agree to that logic, stating that legislators are responsible to ensure that no laws are discriminatory and that the Texas Voter I.D. law that passed last year was clearly discriminatory. Legislation passed by the Republican controlled Texas Legislature and signed by Gov. Rick Perry in 2011 (SB 14) requires that voters present one of a select and limited group of government issued photo I.D., which over 30% of some voting groups do not hold, before casting a ballot. Under Section 5 of the Voting Rights Act, the Justice Department or a federal court is required to pre-clear laws affecting voters before they go into effect in jurisdictions with a history of voting discrimination -- and that includes Texas. The Texas Secretary of State’s (TxSOS) office made the preclearance filing for SB 14 to the U.S. Department Justice (USDOJ) on July 25, 2011. The state’s voter I.D. law is on hold awaiting review from a D.C. Circuit Court. 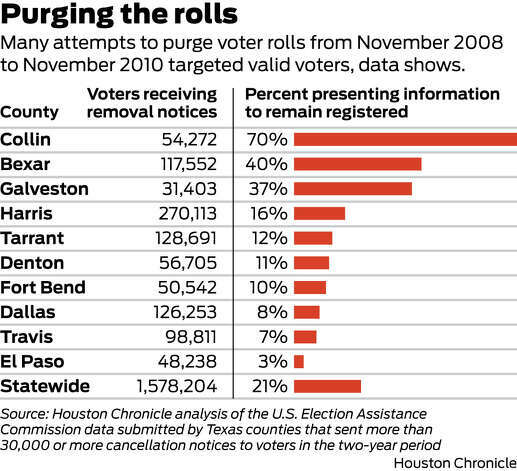 More than 300,000 valid voters were notified they could be removed from Texas rolls from November 2008 to November 2010 - often because they were mistaken for someone else or failed to receive or respond to generic form letters, according to Houston Chronicle interviews and analysis of voter registration data. Statewide, more than 1.5 million voters could be on the path to cancellation if they fail to vote or to update their records for two consecutive federal elections: One out of every 10 Texas voters' registration is currently suspended. Among voters under 30, the figure is about one in five. Texas voter registration rates are among the lowest in the nation, but Texas pays nearly twice as much to cancel voters - 40 cents per cancellation - as it does to register new ones at 25 cents. The Secretary of State's office says it automatically cancels voters only when there is a "strong match" between a new registration and an older existing voter - such as full name, Social Security number and/or date of birth. However, each year thousands of voters receive requests to verify voter information or be cancelled because they share the same name as a voter who died, got convicted of a crime or claimed to be a non-citizen to avoid jury duty. In Harris County alone, more than 100,000 voters share their name with at least one other voter. The phenomenon is even more common among Hispanics. Voters receive form letters generated by workers in county election offices that "therefore may be more subject to error," said Rich Parsons, a spokesman for the Secretary of State in emailed responses to the newspaper. Voters who fail to respond to form letters - or never receive them - get dropped. Delegates to the 2012 Democratic State Convention will assemble in Houston from Thursday, June 7 through Saturday June 9. One of the first items of state convention business that delegates will consider is who they will elect to serve on the State Democratic Executive Committee until the 2014 Democratic State Convention convenes. But what is the State Democratic Executive Committee and what does it do, exactly?